Feast It has launched in Birmingham! Feast It is rapidly expanding all over the UK and we're proud to announce that we now have an awesome collection of mobile caterers in Birmingham that you can book for any kind of event. From brioche French toast with a delectable choice of toppings, to authentic wood fired Italian pizza, these are the city's finest and most unique caterers! 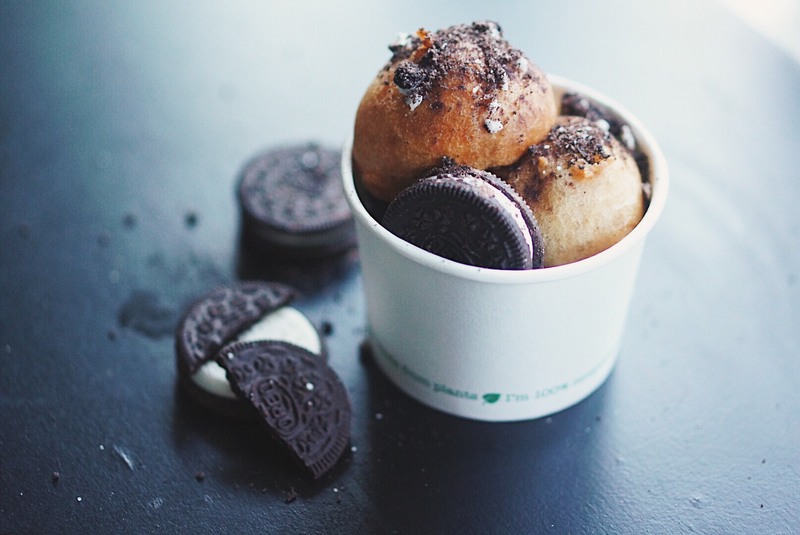 Yo Dough Brum serve up the ultimate decadent dessert... Battered and deep-fried cookie dough balls, filled with chocolate chunks and caramel and topped with crushed biscuits, popcorn, oreos, sweet sauces and more! 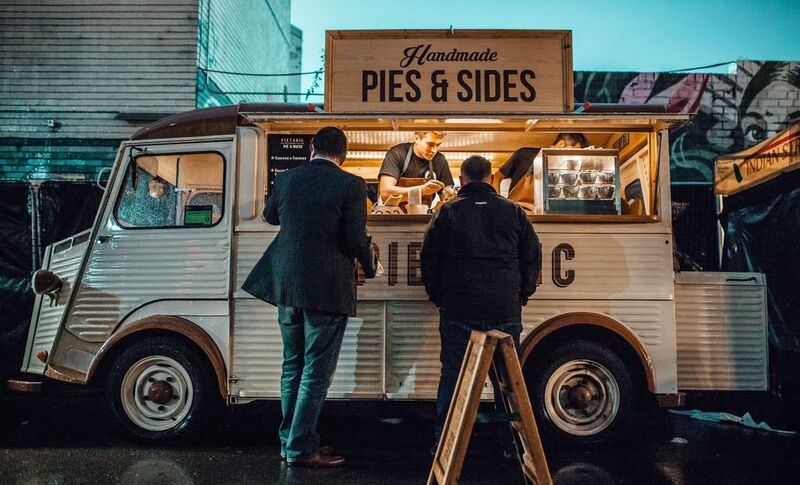 Pietanic serve up heartwarming pies and sides from ‘Claude’, their charmingly converted Citroen H van. Enjoy classics like steak and ale and sweet potato, goats cheese and spinach, as well as some slightly more unusual options, like their bacon cheeseburger pie! Libertine Burger make some of Birmingham’s most decadent burgers, exclusively using grass fed, 21 day dry aged beef to make their fresh patties. Their flavour combinations are mind-blowing and we especially love the ‘Libertine 505’, with crispy smoked bacon, braised beef shin, smoked beer cheese and a kraut relish. The Wandering Pizza Co is a delicious celebration of vintage vehicles and authentic wood fired pizza. Their incredibly popular pizzas are made using only the finest ingredients available. We love the smoked ham and chestnut mushroom pizza, and they even do a mini Belgian chocolate calzone for dessert! 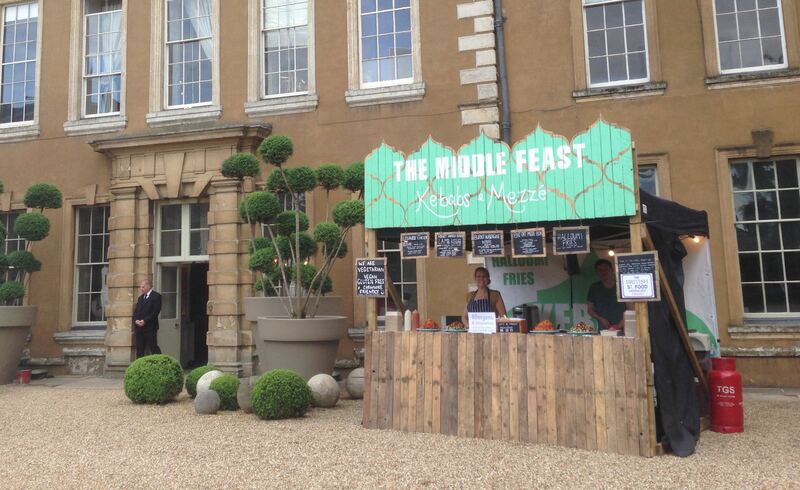 The Middle Feast are all about posh kebabs and mezze, the perfect party food! The mastermind chefs behind this street food initiative are totally obsessed with great food and big flavour, resulting in amazing chicken and lamb kebabs with pomegranate molasses and spicy slaw in freshly baked flatbreads. Their burnt aubergine and halloumi fritter kebab is spectacular. 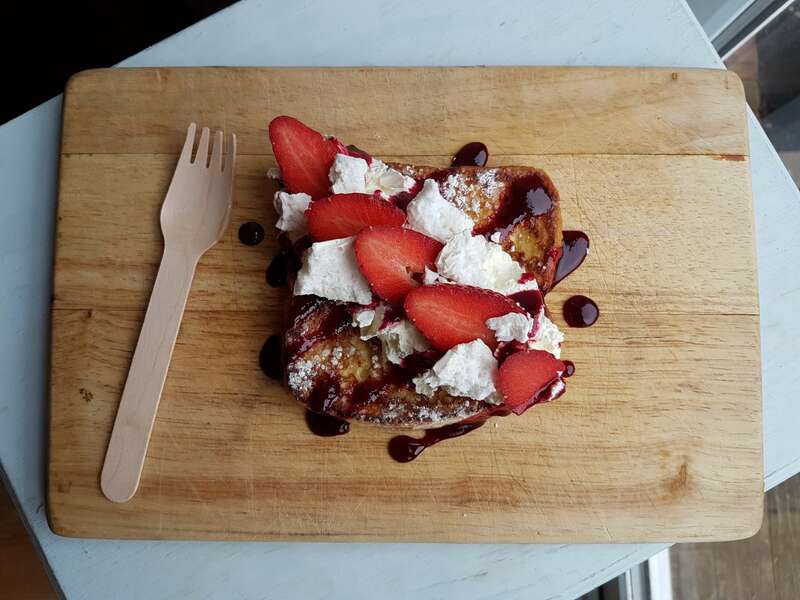 SIFT stands for ‘sweet and indulgent french toast’ and they are certainly taking this American classic to a whole new level. Barny and Flic serve their brioche french toast from a cute Bedford van called ‘Betty’. We love the Blueberry Cheesecake French Toast, covered with blueberry coulis, fresh blueberries, whipped cream and crushed biscuits. Flying Cows serve up delectable Dexter steak burgers using the best cuts of meat from their very own family farm. 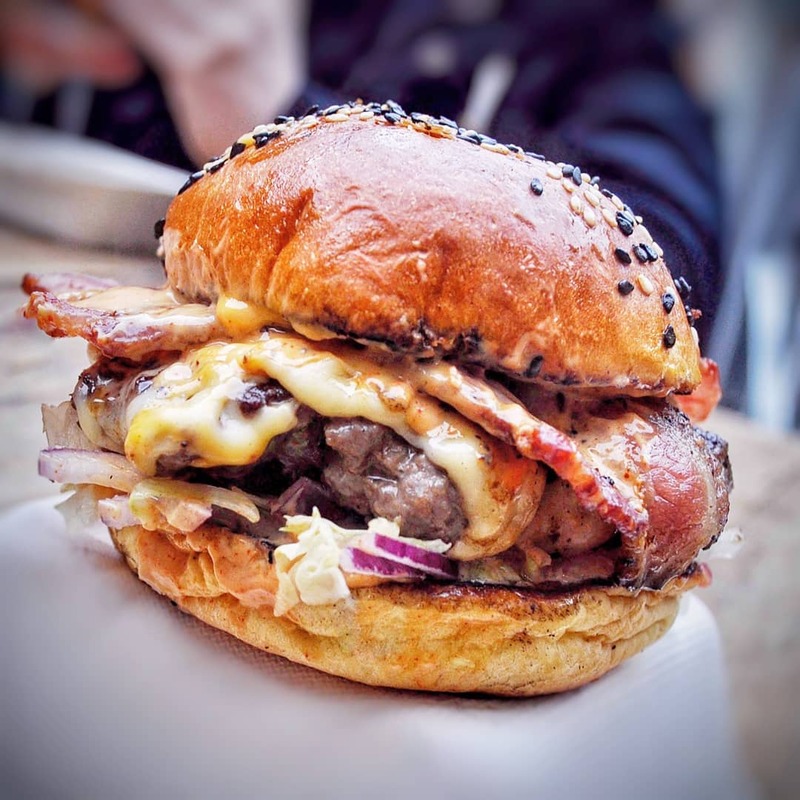 They won ‘Britain’s Best Burger’ at the British Street Food Awards in 2017 with The High Flyer, a monster of a burger with swiss cheese, cheddar, red onion, glazed streaky bacon and club sauce! 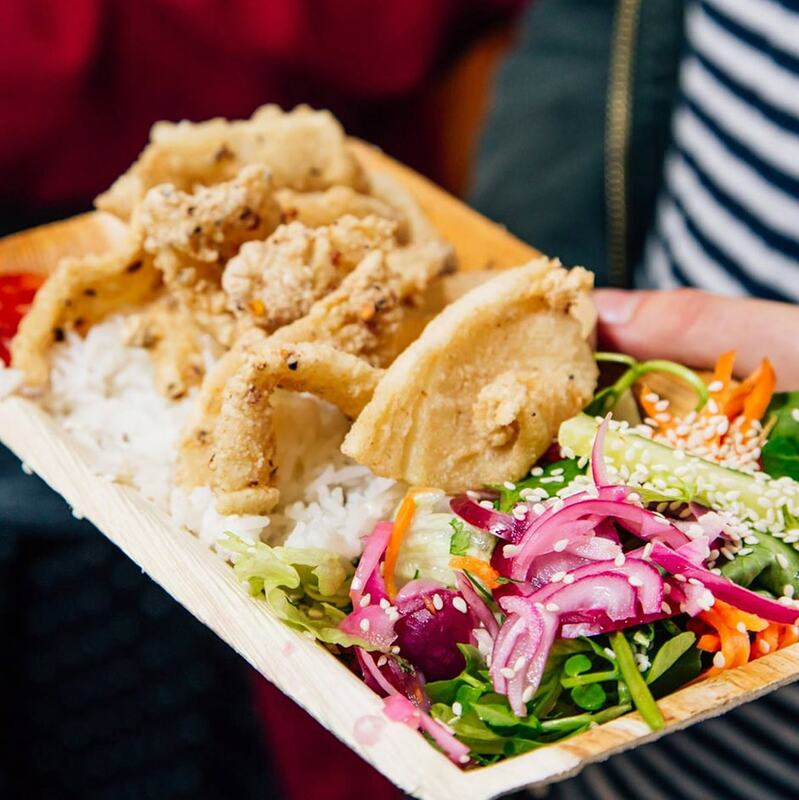 Canoodle began serving their tasty Thai food to Birmingham in the early 90s and since then have evolved into an eclectic mobile caterer, making Korean, Cambodian, Malaysian and Vietnamese bowl food. We love their tofu popcorn with chilli jam, herb salad and fragrant jasmine rice. 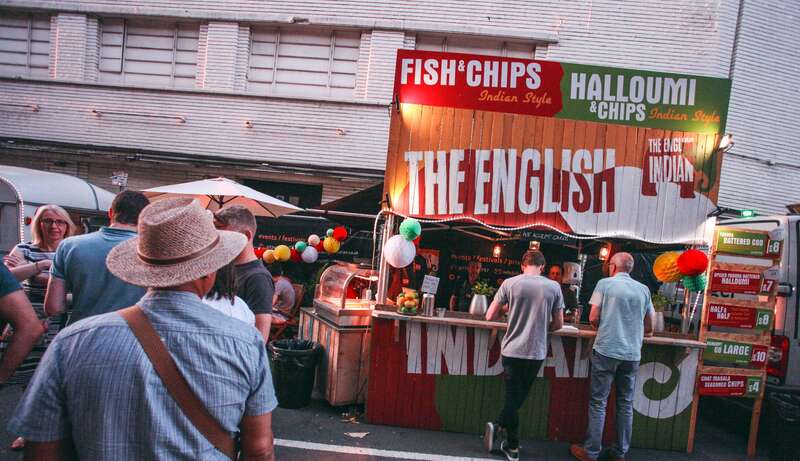 The English Indian is an absolute festival favourite, combining the British love for classic fish and chips and a unique Indian twist. At Feast It we love the Pakora Battered Cod, with chat masala seasoned chips, madras curry sauce and mint and chilli garden peas! The Bournville Waffle Company serve freshly baked waffles with a range of tempting toppings from their converted Mustang caravan with its enormous ‘WAFFLES’ sign on top. 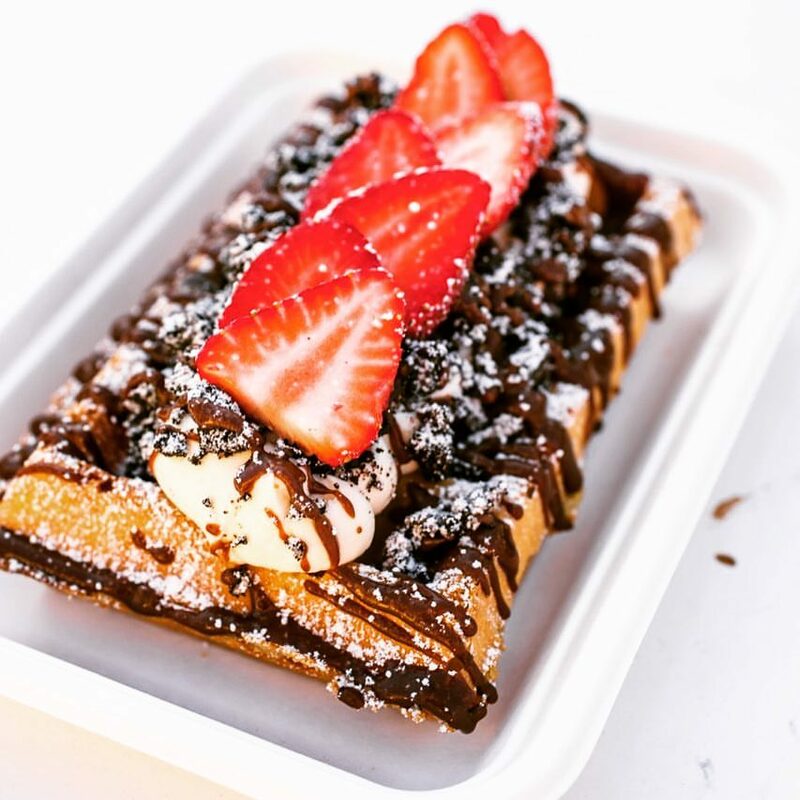 Their menu includes a Millionaires Waffle, a Vegan Mixed Berry Waffle and our favourite, the Malteaser Cheesecake Waffle! Spectacular Goat are experts in sourdough Neapolitan pizza, which they can cook and serve in an impressive 90 seconds! Considered some of the best pizzas in the country, their flavours are really creative, with delicious options on their menu like the ‘Lois’, with mozzarella and mediterranean vegetables roasted in balsamic vinegar and truffle oil. 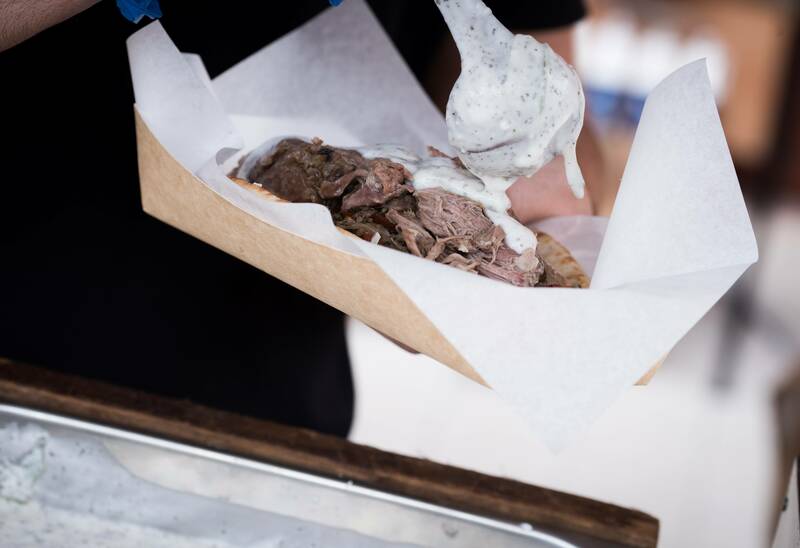 The Street Kitchen Brothers (who are indeed real brothers), serve up bespoke menus of authentic and sumptuous Greek and Lebanese food for all sorts of events, from their charmingly rustic market stall. From halloumi and kleftiko, to beetroot and kale falafel, their food is really fantastic. 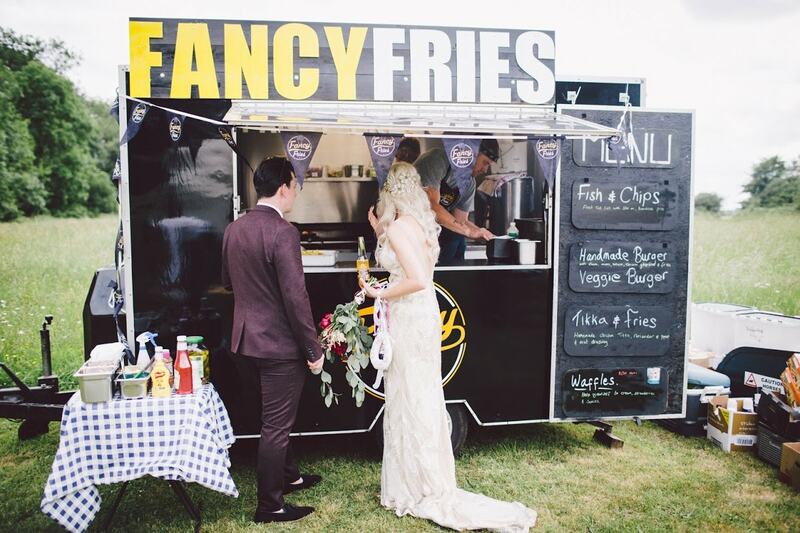 Fancy Fries have taken fish and chips, loaded fries and burgers to a new gourmet level, creating festival favourites with a sophisticated edge. 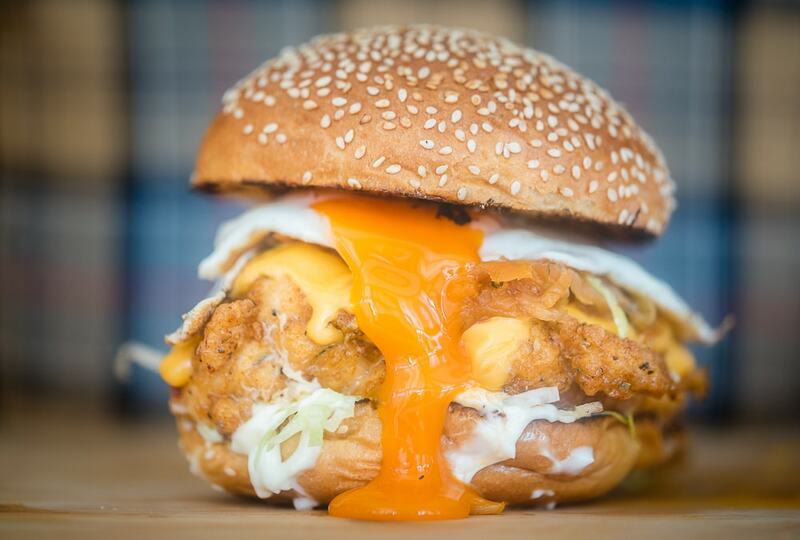 The menu includes their epic fish and chips, skin-on loaded fries with oak smoked bacon, cheese sauce and chives and handmade burgers with pickles, bacon and cheese. 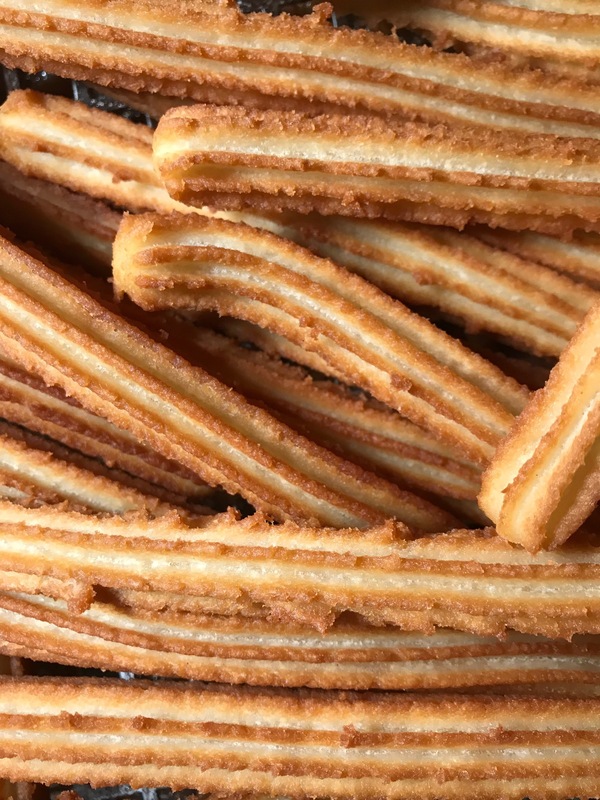 Bare Bones Churro create their authentic Spanish churros right in front of you from their churro van and serve them with a hot Spanish dipping chocolate. All of their equipment comes from Madrid and the churros smell really incredible when they’re cooking, so your guests will be flocking towards their van. Yümlaut make classic German sausages and serve them from their awesome 1980s Bedford CF 250! Their sausages are authentically made in Germany and they can dish up 150 delicious an hour, serving them in a bun with a range of toppings like gherkins, mustard relish, apple sauce, sauerkraut, crispy onions, fondue cheese, bacon lardons and more. 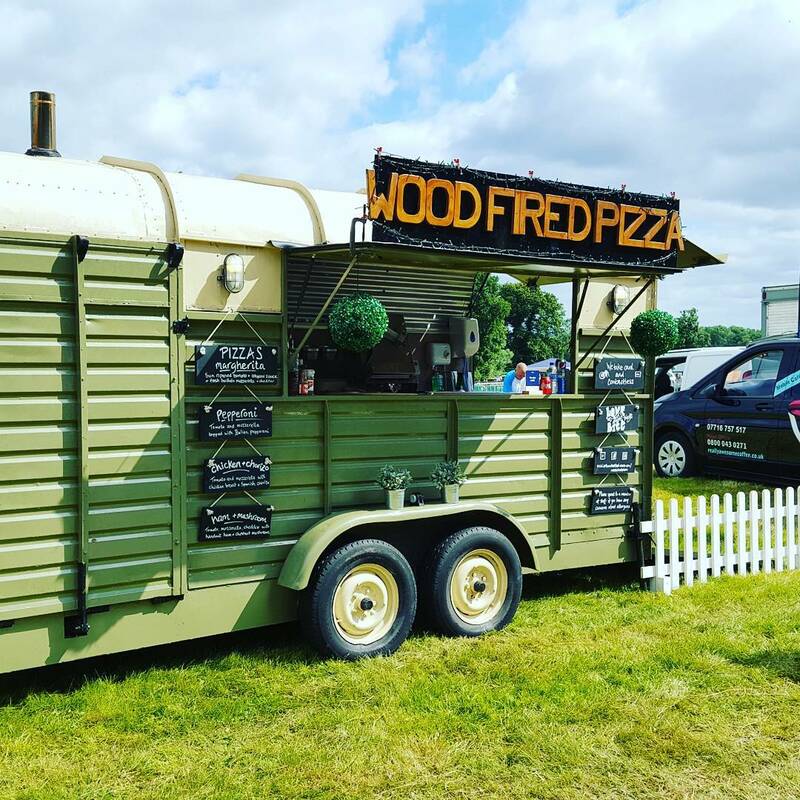 Artisan Street Food serve fresh Neapolitan pizzas from an impressively converted vintage green horsebox, just perfect for parties, festivals and weddings. Their wood fired pizza oven is at eye-level so your guests can watch their delicious pizzas being cooked. 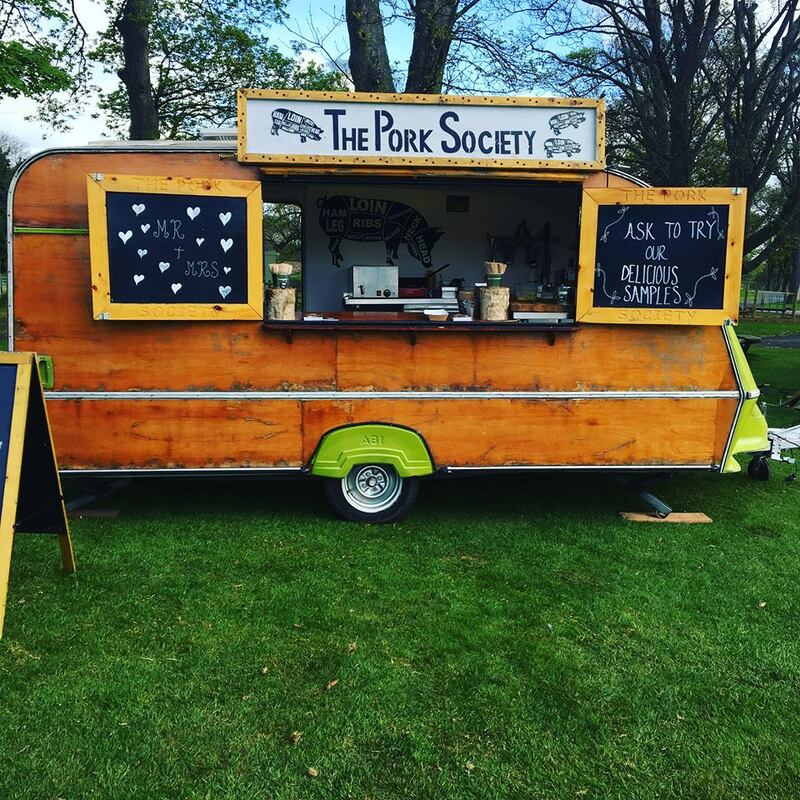 The Pork Society is an independent family business from Birmingham, serving up top notch pork dishes from their adorable vintage wooden caravan. By combining premium local ingredients and over 10 years of chef experience, they create restaurant quality dishes like their Confit Pork Belly. It comes with pickled ginger and passionfruit dressing, roasted new potatoes, chorizo and a pea and black olive tapenade. Bare Bones Pizza are an excellent mobile pizza company, serving their Neapolitan pizzas from awesome red vans, which each have a wood fired oven fitted inside, bringing a real sense of theatre to your event as well as great pizza. We love their Home Cured Meat Pizza, topped with Bare Bones Pizza’s very own salami! On Feast It we have over 350 unique and creative caterers and mobile bars that you can book in just 4 clicks for weddings, parties and corporate events. From handcrafted botanical cocktails served from the top of a vintage VW camper, to the most authentic Indian street food this side of Hyderabad, we've got an incredible range for you to choose from. To get the ball rolling, make an enquiry today!